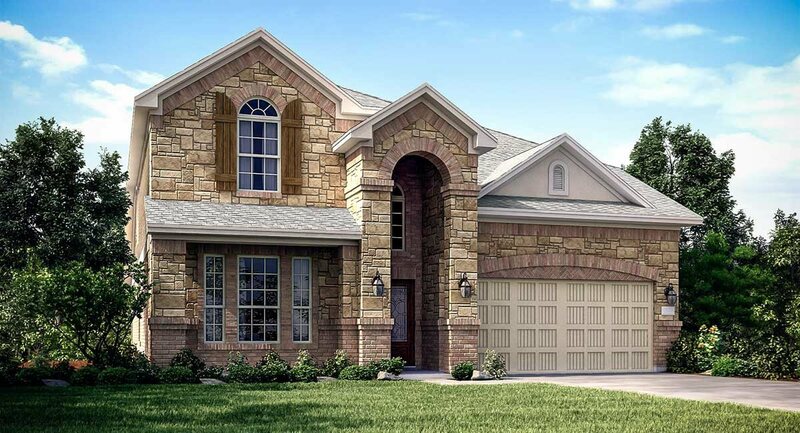 The beautiful two-story Alabaster II plan by Lennar features an inviting front porch and entry foyer, a dining room, an island kitchen with walk-in pantry and breakfast room that offers access to a relaxing covered rear patio, a generous open family room offers the option to add a fireplace, and a walk-in utility room.. 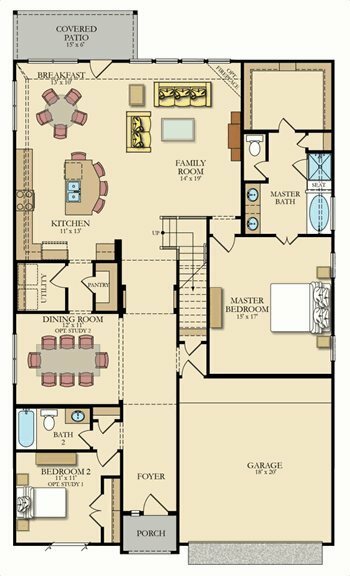 The first floor master bedroom features an en suite master bathroom with dual sinks, separate tub and shower, private toilet enclosure, and access to a large master closet. 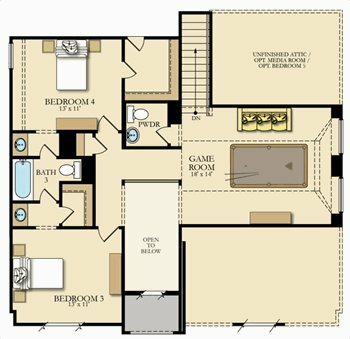 The second floor features two additional bedrooms, a full bathroom, and a large game room with adjoining powder bathroom. 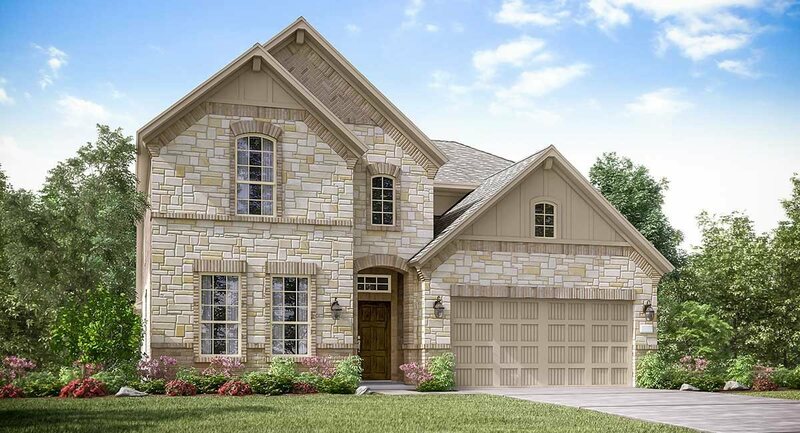 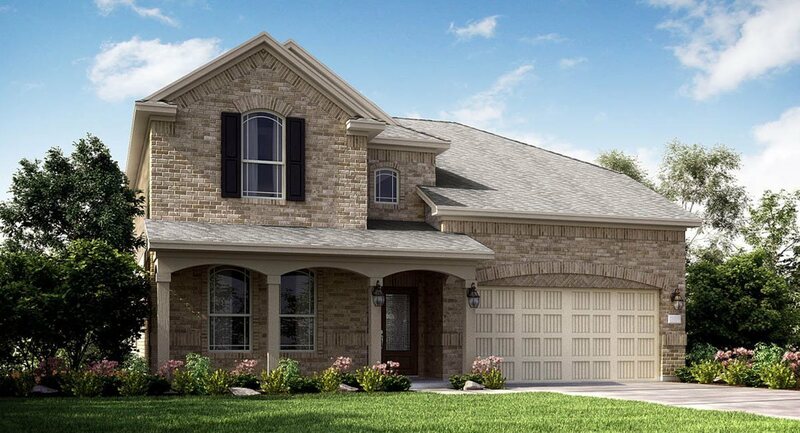 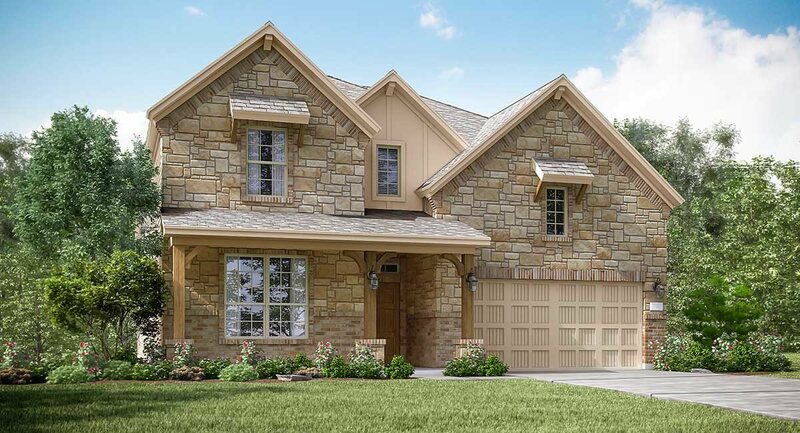 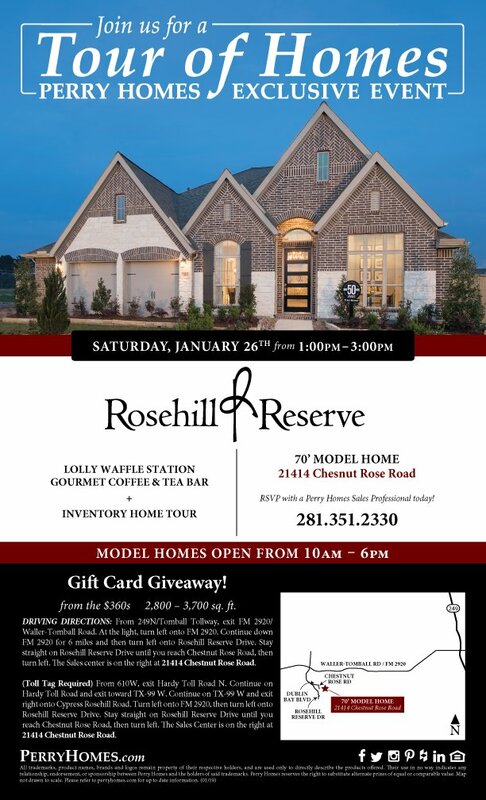 The Alabaster II floor plan also features the options to add a first floor study at the dining room or the second bedroom, and a second floor media room or fifth bedroom and full bath.